Does the Perfect Motorhome For Us Even Exist? When we started looking for our first motorhome and began by reading books and online buying guides we got the distinct impression there was a 'right' choice i.e. that with enough thought and planning we could find the perfect motorhome for us. This was actually quite a stressful idea since, if there was a perfect choice to be made, then anything else would be substandard and surely minimise our enjoyment of our adventure. If there was only one way to get it 'right' then there were a huge number of ways to get it wrong. However, over the months of our adventure so far we've come to see things very differently. Although we do think there is such a thing as a 'wrong' motorhome, the reality of our motorhome life is so diverse that the 'perfect' motorhome for us doesn't exist at all. When weighing up what might suit us in a motorhome there were some fairly obvious things that would make certain motorhomes the 'wrong' choice for us. For example, with my health problems we need a motorhome with a toilet. We also need a motorhome large enough for us to feel at home during an extended trip, a tiny Romahome would surely feel claustrophobic after a month or so. When it came to size there was a definite Goldilocks's zone. Nothing too big, nothing too small. It was by considering fairly obvious specifications like these that allowed us to sift through the handful of 'good deals' we found when we were looking for our first motorhome and chose the one we ultimately bought. But reading through buying guides there are many, many more features to consider such as the position and layout of the lounge, number of external storage boxes, worktop space, hob only vs. oven and hob etc. We actually found thinking about these features quite confusing. Not only were there so many to think about, we personally had no idea whether they would be important to us or not. Perhaps for people who have owned a motorhome before it is possible to be very definite about the exact interior and engine specification required, but to us it would have been a guess. I think it is a modern mindset, when it comes to purchases, that there is a perfect choice for each person. Whether you are looking for a watch, home sound system or lawnmower the advertising industry implies that there is a perfect solution for everyone. It is like a challenge for a consumer to make the 'right' choice. After all, if you're going to part with hard earned money you want it to be the best for you! But this feeling can also be stressful and lead to indecision or regrets and doubts later on. We actually made a conscious decision not to bother worrying about all of those features we didn't have an opinion on, rather than trying to form an opinion for the sake of it and it was liberating. By focusing on just a few parameters and getting a good deal we were able to relax much more during the buying process and use our first motorhome as an opportunity to learn what does matter to us. Now, many months into our adventure, we feel that our experience has validated our approach. The reality of our motorhome life is so varied that a perfect motorhome really doesn't exist at all for us. 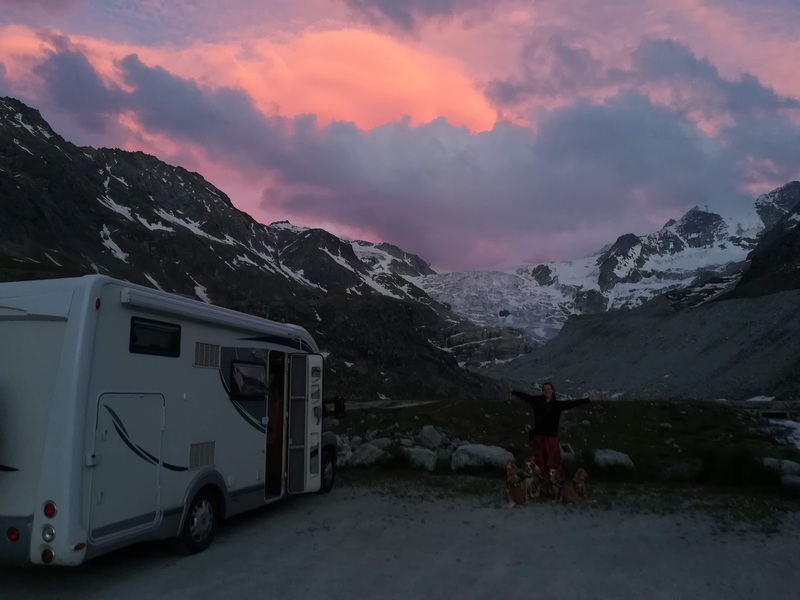 One day we might be driving on tiny mountain roads, another day remaining static in a city centre, another parking in a valley to cycle up to a higher col. Every day brings something new and for us that is the beauty of motorhome life. For other motorhome tourers with a more consistent routine perhaps the specifics of layout and storage capacity are more critical, but for us, where the 'perfect' motorhome changes from one week to the next we find it far more important that we adapt instead. By staying within a sensible range on a handful of important parameters (engine size, length, toilet etc) we can enjoy ourselves wherever we go. As we've put together a few articles about our buying experiences over the past few weeks we have come to realise that even with the benefit of experience and hindsight, we really would do it all again the same way. Adventures In Life, Love, Health & Travel: Does the Perfect Motorhome For Us Even Exist?